Giant Tropidischia xanthostoma inhabit caves, abandoned wells, and rotten tree stumps across the West coast. They have a legspan of 10-12 cm as adults, and antennae over 10cm long. 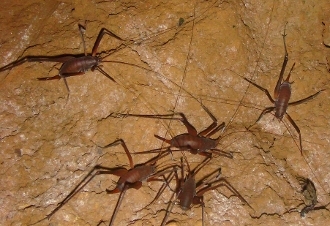 They appear to eat mold off of cave walls.